Today’s announcement that Ardbeg is to double distillation capacity crowns a period of unprecedented growth for Islay single malt whisky. New distilleries, revived distilleries, expanding distilleries… here’s a rundown of the latest moves on ‘Whisky Island’ from Richard Woodard and Dave Broom. Can the world ever have enough of Islay single malt whisky? Apparently not, if recent events are anything to go by. With new distilleries at various stages of planning or construction – Ardnahoe, Gartbreck and more to come – plus the revival of Port Ellen and the expansion of existing plants, this is a period of unprecedented growth in whisky production on the Hebridean island. It’s hard to believe that, just a few decades ago, business was tough for some of Islay’s distillers. 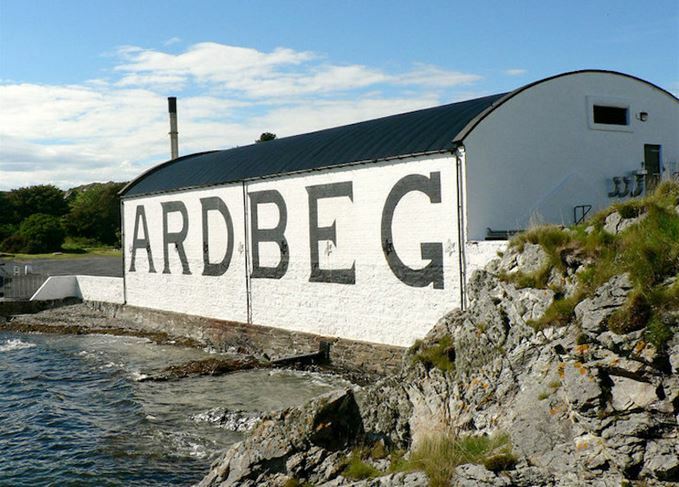 Ardbeg ran only intermittently throughout the 1980s and 1990s, Port Ellen shut down in 1983, and Bruichladdich didn’t produce a drop of spirit in the second half of the 1990s. That’s all changed now. Laphroaig and Bowmore, Lagavulin and Ardbeg… Islay has more than its fair share of single malt’s household names, with a dynamic supporting cast that includes Bruichladdich, Bunnahabhain, Caol Ila and Kilchoman. Meanwhile, the volume of whisky made on the island has been steadily increasing for some time. For instance, production from Caol Ila’s six stills, following a revamp in 2011, has reached a formidable 6.5m litres of pure alcohol (lpa) a year. Twenty years ago or so, Ardbeg was barely clinging to life, having spent much of the 1980s and 1990s either silent, experimented upon or being ransacked for spare parts by Laphroaig. That all changed in 1997 with its acquisition by Glenmorangie (itself later bought by luxury goods group LVMH), and Ardbeg hasn’t looked back since, steadily building sales and global awareness with a string of well-received releases, centred around core expression Ardbeg 10 Year Old. It’s been an open secret for some time in the whisky industry that Ardbeg was to expand, so today’s announcement of a doubling of distillation capacity from two stills to four, plus the construction of a new still house, comes as no surprise. The plans, which also involve the installation of new washbacks in the old still house, are awaiting the go-ahead from Argyll & Bute Council but, all being well, work will begin this year, with completion scheduled for 2019. Established in 2005, Kilchoman was an early precursor of Islay’s current whisky boom, although the ‘farm distillery’ had a tough early existence. Now, however, the buoyant global market for single malts has persuaded founder Anthony Wills to build a new still house, mash house and tun room, housing two more stills, a mash tun and six new washbacks. With construction due to begin this year, and due for completion in 2019, the work will double Kilchoman’s distillation capacity to 460,000 lpa a year. Five new warehouses will also be built over the next five years. Kilchoman has already built a new malt floor and kiln on the site of the old Rockside Farm cow shed, capable of processing four-tonne batches of the distillery’s own barley. ‘We have built momentum with sales and I don’t want to be in a position in four to five years of having to allocate stock,’ said Wills. While there are currently no plans for increased production at Bowmore, it’s a different story at Laphroaig, the other Islay distillery owned by Beam Suntory. A ‘significant’ expansion is believed to be on the way, although details are still under wraps. ‘It is something we are doing a lot of work on,’ said distillery manager John Campbell. Speaking at last year’s Islay Festival, Campbell discussed the challenges associated with expanding Laphroaig – particularly the contribution from the distillery’s floor maltings and the role of No 1 spirit still (larger and run quickly to give a different character). ‘If the ratio of either of those shifts, then we lose character,’ he said. Nonetheless, he added, ‘expansion will have to happen’. Video: John Campbell discusses the upcoming expansion of Laphroaig. There’s no increase in capacity at Bruichladdich, but the ownership of French group Rémy Cointreau has seen a steady increase in production levels to 1m lpa in 2017; when the distillery was first revived in 2001, it could only afford to make a fraction of that amount of spirit. As production increases, warehousing has expanded too, with the construction of three new 10,000-cask cells beginning in November last year. Bruichladdich’s maltings closed in 1962, but distillery managers have spoken in the past of their long-term ambition to malt on-site again – initially for Islay-grown barley, but then possibly for Scottish-grown barley as well. The news of Kilchoman’s expansion last autumn was somewhat overshadowed by Diageo’s announcement in October that it is to rebuild Port Ellen, that most hallowed of ‘lost’ distilleries. While the revived Port Ellen will have a handy supply of malt from the neighbouring maltings and be able to mature its spirit in the existing seafront warehouses, a new distillery has to be constructed. This facility will contain a pair of stills and condensers made to the same design as the old equipment – part of Diageo’s £35m plans to revive Port Ellen and Brora in the Highlands. Port Ellen redux will have a capacity of 800,000 lpa per year, and the plan is to have the distillery up and running by 2020. Islay’s ninth distillery is due to begin production in time for this year’s Islay Festival at the end of May, drawing visitors to its panoramic views of Jura and the Sound of Islay on the island’s north-east coast. Ardnahoe’s owner, independent bottler Hunter Laing, scored quite a coup in securing the services of Islay legend Jim McEwan (ex-Bowmore, ex-Bruichladdich) as the new plant’s production director. The distillery itself is characterised by manual operation, long lyne arms, worm tubs and plans to produce an array of different styles of spirit. For a long time it seemed that Gartbreck would be Islay’s ninth distillery, but a bitter land dispute between owner Jean Donnay and independent bottler Hunter Laing appeared to have killed the project. The trouble revolved around Hunter Laing’s abandoned plans to buy Gartbreck, south-west of Bowmore, from Donnay – and the company then moved on to develop Ardnahoe (see above). Then, in November last year, hope was revived with the news that the two parties had agreed a price to buy the disputed strip of land, without which the Gartbreck project was untenable. Now the whisky world awaits the next chapter in the Gartbreck story, four years after Donnay secured planning permission for a distillery set to produce peated single malt using direct-fired stills, wooden washbacks and worm tub condensers. There are no plans to increase production at Bunnahabhain, but the distillery is benefiting from a three-year, £11m infrastructure programme designed to accommodate increasing visitor numbers. Some warehouses and distillery houses will be demolished, and the existing eight luxury cottages are being upgraded, with new beach huts suitable for overnight stays also set to be constructed. A new whisky lounge with sea views is being created, and yacht moorings will be installed in the bay. Many whisky tourists visit Islay’s distilleries, but how many have experienced them from the air? Hunter Laing’s range features Ardbeg, Bowmore, Bunnahabhain, Caol Ila, Laphroaig and Port Ellen.